The competition among network providers in Nigeria intensifies with every new data and tariff plan they release as everyone of them is trying to get the most costumers at the end of the day. The latest trend is with the night plan. But this is only for those who are ready to sacrifice their night rest for cheap data plan. Although Mtn actually started the night plan, others have also followed suite with their different night packages. So now you can decide to go for either Mtn, Airtel, Etisalat or Glo depending on the one that suites you most. I will list out all available night plans, validity, price and also data cap. This started it all and it's arguably still the most popular of them all. Although Mtn claims that this plan is valid from 12a.m to 4a.m the same day, it actually expires at 3.30am and not 4a.m. With the Mtn night plan, at just N25 you get 500mb of data after which fair usage policy will be applied. And it last from 12a.m to 3:30a.m the same day. How To Activate Mtn Night Plan. ==> First, you must be on Mtn pulse. To migrate just dial *406#. ==> Make sure you have at least N25 on your Mtn line. ==> To subscribe, SMS "night" to 131. Unfortunately this plan can't be renewed same night. Which means you can only subscribe once in a day. You can read more on the Mtn night plan HERE. The Airtel Night Plan to me is inarguably the best of them all as long as you have a good network reception in your area. Airtel actually offers two options. You can either subscribe for 500mb at N25 or 1.5Gb at N50 and it's valid from 12:00a.m to 4:00a.m. What makes the Airtel plan better is that, unlike the Mtn night plan, you can renew the Airtel Night Plan the same day. But this plan is only available for those on Airtel Trybe tariff plan. ==> Make sure you are on Airtel Trybe or migrate by dialing *312#. 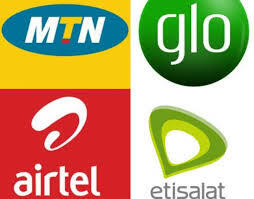 ==> Make sure you have enough airtime on your line. ==> Dial *312*2# and follow the command prompt. Like I said earlier, you can subscribe for the Airtel Night plan more than once in a day. You can read more on the Airtel Night plan HERE. Unlike the rest, Glo actually offers night and weekend plan. Which means that the Glo night plan is valid in the night on weekdays and all day during the weekend. ==> To subscribe, dial *127*61#. ==> Or dial *777# and follow the on-screen command prompt. You can read more on the Glo night and weekend plan HERE. == > Make sure you have at last N200 on your Etisalat line. ==> Dial *229*3*11# to Activate. The etisalat night plan is valid from 12a.m to 5a.m the same day. You can read more on it HERE. Aside the Etisalat Night plan, they also have another weekend and night plan of 2Gb for N1,000 and 5Gb for 2,000 which runs from 7p.m to 7a.m on weekdays and all day on weekends. You also get extra 100mb for WhatsApp only which can be used anytime, any day . You can read more on the Etisalat weekend and night plan HERE. So guys that's all. Above is the full list of all available night plans and detailed information on each of them. It's now your choice to choose the one that you think suites you most. If you have any question, feel free to ask and also don't forget to share this post on your various social media platforms.